GOV.UK will be 3 years old tomorrow. We’ve come a long way in 3 years, building the publishing system and design patterns for a single government website, transitioning more than 650 domains to it and helping our digital colleagues across government to shift the culture of their organisations towards a more user-centric model. And now, aged 3, GOV.UK is a mature operation, a trusted brand, and an important part of our national infrastructure. Around 12 million visitors use GOV.UK every week to access services and information which can affect their homes, businesses, jobs, families - even lives. Our job could not be more important: to make sure those 12 million users can rely on GOV.UK being available, clear, accurate, fast and secure at all times. We’ve learned, and continue to learn, a huge amount about how to do that well. So tomorrow also marks 3 years of having this team in the Cabinet Office, developing the skills and knowledge needed to run a digital service on this scale inside government, building a deep domain knowledge and sharing everything they learn in the open. It may be our 3rd birthday but - having completed transition - it’s the first one when we can really start to think about what GOV.UK wants to be when it grows up. GOV.UK is a constant revolution. There’s so much more we can do to improve what we’ve built, and to positively disrupt the user experience of interacting with government. Our platform needs to keep changing as fast as technology and users’ expectations. From now to March 2016, I’ve set 2 important, linked priorities for the team. This is the preliminary work to ready GOV.UK for the next phase. The first priority is to consolidate the publishing tools and page templates we built so quickly into a coherent platform, which we and others can build on more easily. The second is to put better systems in place to help users navigate and search GOV.UK. We’ll blog next week about how we’re tackling both of these challenges and what we expect to achieve between now and March. [Edit 27 October: those posts are now published and linked to above]. Alongside that, I’ll also be developing a renewed vision for what GOV.UK should become in the years ahead. I’m keen to hear from people inside and outside of government with ideas about how GOV.UK should continue to revolutionise how people interact with and understand the state. If you want to be part of that conversation please comment on this post to let me know. The opportunities are many. The GOV.UK team and I are hugely excited about what GOV.UK can become by its 4th, 5th and 6th birthdays and beyond. 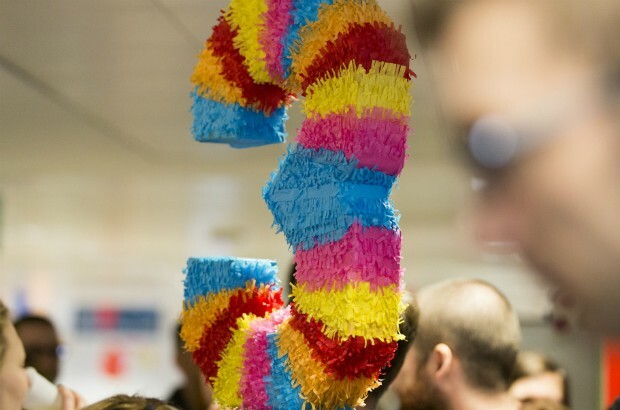 So happy 3rd birthday to GOV.UK, the team in GDS and everyone across government who's involved in running the site. Here’s to 3 years of simpler, clearer and faster access to government services - and to many more years of improvement to come. Neil Williams is the Head of GOV.UK. Keep in touch: follow Neil on Twitter and subscribe to email alerts from this blog. Want to join our team and help us with the next phase of GOV.UK? We're hiring. I'd love to be involved in the conversation about how gov.uk evolves from here on in. I'm purely a consumer rather than a publisher of gov.uk content. As you'll know from my previous comments, I think gov.uk is absolutely great when I'm acting as a citizen, but awful (soemtimes to the point of actually being dangerous) when I'm acting as a public health professional. Do let me know how I can contribute to helping you to further develop the platform to help overcome these problems. Congratulations from the regjeringen.no / government.no team! We have been developing and running a single website for the Norwegian government and the ministries for the last 20 years, and it's great to see a relative newcomer in the game – GOV.UK – displaying such vitality and creativity. The work your team is doing, and the results you are sharing so freely, is inspiring us and many other government web teams to think outside the box and create better solutions for our users. Putting the users first, be they private citizens or professionals, is probably the most important lesson we've learnt from you. To web professionals in the private sector, this may seem obvious, but anyone who has worked in the public sector knows that balancing the needs and wants of politicians and bureaucrats with user needs is no simple feat. The GOV.UK and GDS teams seem to manage this to an impressive degree, with a delicate mix of power and wisdom, and balancing respect for (useful and predictable) conventions with a healthy disrespect for conventionality. We will be following your activities for the next 3 years – and the next 20 – with great interest, and will be expecting you to keep up your youthful impatience and productivity, while gaining some maturity.